2. Navigate to "Integrations" on the left-hand side of the screen and click on "APIs"
3. 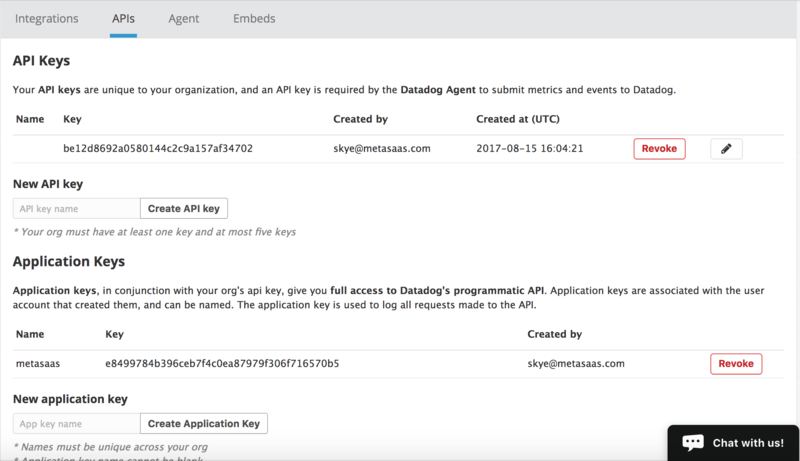 Create an API key and an application key to use with SaaS Manager. 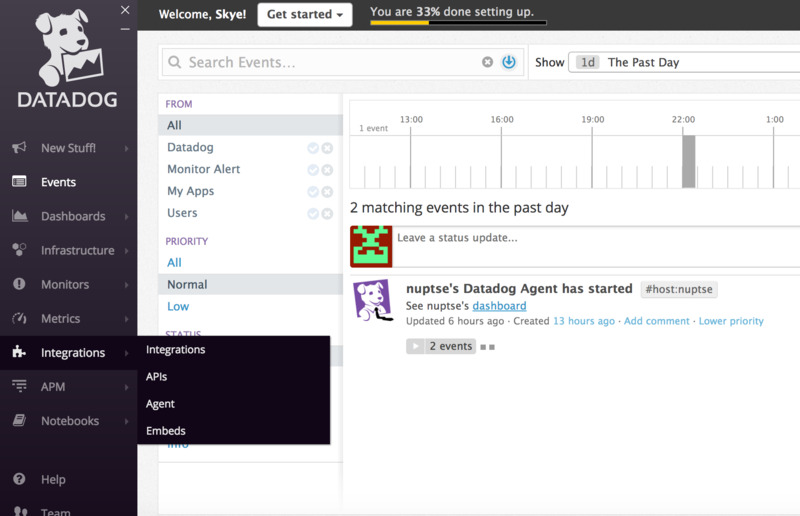 Copy those keys and submit in the "Integration Agent" prompt within your SaaS Manager account.